Anu Muhammad gives his arguments against the Rampal coal power plant in Sundarbans to Down To Earth correspondent Tiasa Adhya. Muhammad is a committed anti-imperialist political activist who works for democracy and justice. 1) Why and how did you get involved in the protest against the Rampal coal plant in Bangladesh Sundarbans? We became aware of protests against the project in 2010. Locals in the Sundarban areas formed a land protection committee to resist land acquisition for the plant in 2010. However, we found that the land acquisition had begun without adequate environmental clearances. Procedures like serving notice, consulting and discussing with people were blatantly disregarded. Moreover, local people, who are mostly poor with a section of marginalised Hindus, were displaced after continuous threats of eviction and crossfire. They contacted us and that’s how we got involved. After we learnt about the plant, we tried to find the details. First, we tried to understand the environmental impacts of coal plants in India, China, US and Australia which have decades of experience in this and have available studies on the impacts. Moreover, we went through research papers on the ecosystem and ecology of Sundarbans, its special features, importance, sensitivity as well as vulnerability. The Rampal power plant threatens the biological wealth of Sundarbans as well as the economy of people of Bangladesh and will render the coastline vulnerable to natural disasters like cyclones. 2) On what grounds do you think the project should be aborted? Any project that threatens the survival of Sundarbans and renders the whole coastal region vulnerable to destruction does not have an economic or any other rationale to continue. Annually, around 0.94 million tonnes of ash will be generated from the plant of which 80 per cent shall be dry fly ash and the rest 20 per cent shall be bottom ash. This ash will contain many heavy metals, including arsenic, lead, mercury, nickel, vanadium, beryllium, barium, cadmium, chromium, selenium and radium, which are dangerous if released into environment. In Bangladesh, electricity generated from gas costs about 2 Taka (Rs 1.70). Power from rental plants costs 12-17 Taka (Rs 10.20 – 14.47). Coal electricity will cost around 10 Taka (Rs 8.50) alone. If we follow standard cost-benefit analysis and include environmental and social costs, electricity from coal easily becomes the costliest. I think the project can be described as an unthinkable disaster in economic terms. 3) Coal is important for development or so the saying goes. Countries such as China, India and US mostly use coal as the major source of power. But these countries are phasing out coal gradually. When better technologies like solar, wind and natural gas are available, why rely on coal? While people across the globe have become more aware and are exploring alternatives, why should not Bangladesh take advantage of these alternatives? Besides, we don't have the capacity to tackle disasters like developed countries do. We can't afford to spend billions of dollars if our water is polluted. 4) But the Bangladesh government claims that the project will be win-win for both countries. Who, in your opinion, then will be the real economic benefactors of the Rampal coal plant in Sundarbans? 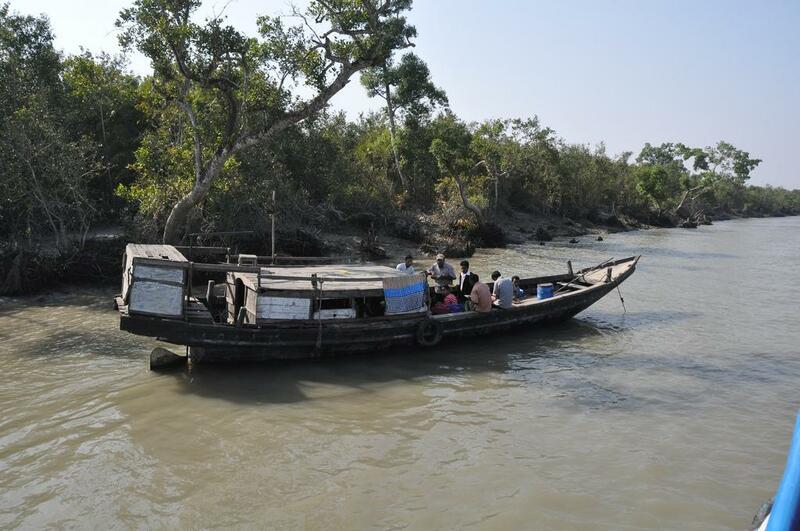 Do you know that recently the finance minister admitted that the Sundarbans will be affected? Government officials are aware of the facts and are also under pressure. This project will only increase enmity between the nations already estranged after Farakka. Local protests failed to stop land acquisition which began without any site clearance or environmental assessment. Instead of serving prior notice and holding dialogues with people, they were terrorised and threatened with eviction. These are mostly marginalised people with low-caste Hindus forming a section. So, it was easy to displace them by power play. The plant is clearly a commercial venture aimed at maximising profit and is equally owned by the Bangladesh Power Development Board (BPDB) and the Indian coal company, National Thermal Power Corporation (NTPC). Initially, India and Bangladesh will equally share up to 30 per cent equity and the remaining equity will be taken as bank loan from the Indian Exim Bank, which will provide a loan with sovereign guarantee from Bangladesh government. According to the bank's own policy framework, it lends only to projects which ensure export of Indian products. The NTPC will look into management and operation of the power plant and the state-run Bharat Heavy Electricals Limited (BHEL) will be involved in the construction work (construction materials will be duty-free, profit will be tax-free, all imported items will be tax-free). In short, our tax money will subsidise Indian companies. At the same time, Coal India has shown interest in supplying coal to the Rampal plant. They have surplus coal as some coal plants have been shut down in India. The Indian government might also have strategic considerations because of which they want to stick to this location. It is being rejected as a technology for which Bangladesh cannot be a dumping ground. Thus, the government’s drive for plundering people’s resources comes at too high a price to allow lapse in forethought. The government is incapable of protecting the Sundarbans from being damaged. The river Buriganga is suffering from the same issues—land grabbing and pollution. Why not deal with those issues first? Neither does NTPC have the technology to do the impossible; otherwise, they would not have such a bad track record in India. It is clear that the government is not at all serious but rather insensitive to Sundarbans and communities depending on it. We have not forgotten the government’s failure to deal with the sinking of a coal-laden ship in the Sundarbans. The UNDP and other studies showed that these will have long-term disastrous effects on the forest. About 12,000 tonnes of coal will be shipped through the forest every day and about 500 ships and 4.7 million tonnes in 365 days. An independent EIA report prepared by Adbullah Harun of Khulna University shows that water logging, river erosion, noise pollution, health hazards, decrease in water table, loss of aquaculture and agriculture will be imminent if the plant functions. The Prime Minister stated that high-quality coal will be brought from South Africa and Australia to reduce pollution. For the sake of cost reduction though, the management might decide to use low-quality coal. Such coal has high sulphur content. The intentions are clearly stated in the EIA, that should decisions be taken to import low quality coal, Flue Gas Desulfurization plants will be installed to limit sulphur dioxide emissions. According to EIA reports, supercritical technology will be used. But this technology was found to reduce pollution only by five to 10 per cent. EIA reports are otherwise interesting because they determine expenditures and investment for interested companies. 7) What is the government’s response to your protests? We face harassment, police action, threat, physical assault by ruling party goons and are doing so since 2011. Now the government has become more intolerant as their actions have become more repressive. In many places, police or party men impose restrictions on rally/gathering/processions related this issue. Even drama, documentary films and songs on this issue are facing strong backlash. Recently, a young boy was arrested for his comment in social media against the Prime Minister’s arguments in favour of the power plant. Public support to the protest, though, is increasing by the day. Many in the ruling party have privately opposed this project. The government is taking such steps because facts, figures and scientific evidences reveal naked truth. They are also hiring Public Relation agencies to organise propaganda, including TV commercials in favour of the project. 8) What could be alternatives that the government can explore (given that water crisis will become a looming threat to humanity in the coming decades and Bangladesh is rich in wetlands)? We have proposed many alternatives at different times that are good for the country, environment-friendly and economical, but not lucrative for the interest groups—local and foreign. Not only India, China is also pushing for coal powered projects in Bangladesh. 9) What message would you like to convey to the Indian public? If Sundarbans in Bangladesh is damaged it will also affect the other part in India where more than five million people depend on this forest for their livelihood. Public voices from India might be a crucial determinant in halting this disastrous project since the Indian government and companies are involved. It is obvious that this project will not only destroy the Sundarbans, it will also permanently damage the foundation of friendship between two countries. Therefore, I would like to draw attention of the people in India, especially environmentalists, scientists and activists to join the protest to save the Sundarbans and to salvage the friendship.